There's something brilliantly retro about Photonovels, a delightful relic from the pre-video era (which somehow survives - in limited numbers - today). This STAR TREK: THE MOTION PICTURE edition followed a successful range of TV episode adaptations published during the syndication years. 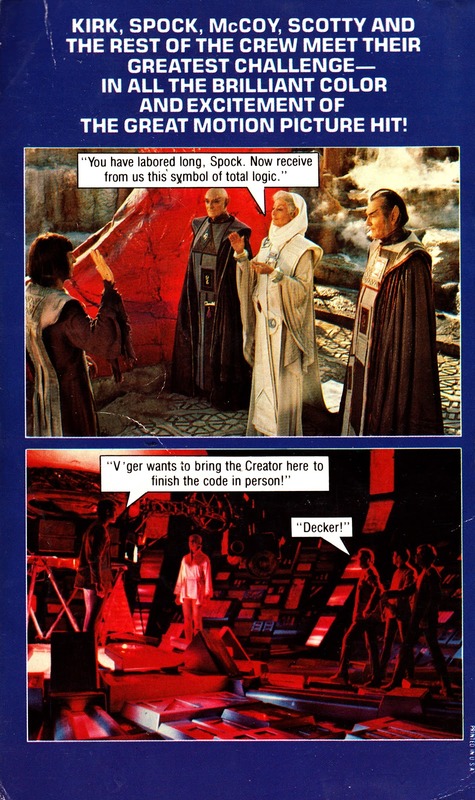 Contemporaries included BATTLESTAR GALACTICA, BUCK ROGERS IN THE 25th CENTURY and INCREDIBLE HULK adaptations, all based on their respective 'telebuster' opening episodes. The 1982 sequel was the last Trek flick to get the photo-strip treatment, albeit in budget-busting black and white. 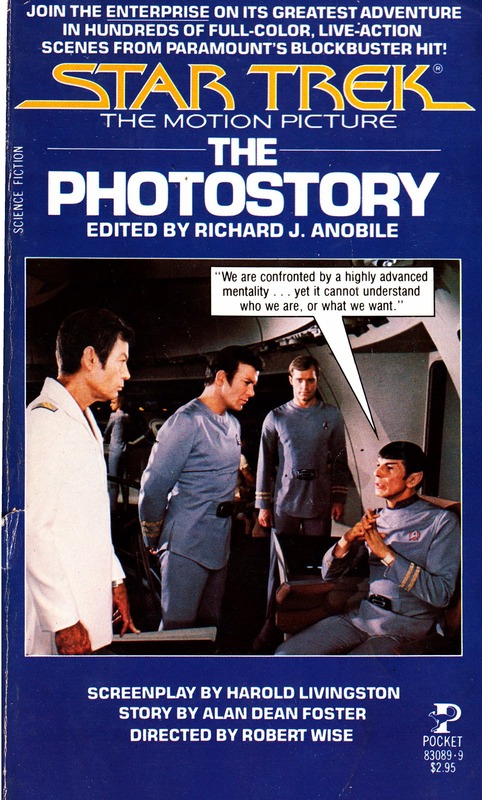 I found the ST: TMP paperback, above, a few years ago in a charity shop. I've still got my battered copy of the Kahn book which I first bought, in Colchester's WH Smith, around 1983.